Click on the It Can Wait link above to receive a simple but powerful message of using your phone while driving. Please share. The law firm of Goldstein, Buckley, Cechman, Rice & Purtz sponsored a TEXTING AND DRIVING Public Safety Announcement (PSA) CONTEST for local high school students. The contest was part of the law firm’s Put the Phone Down (http://www.putthephonedown.org/) campaign that began in 2013. The winning entry was submitted by Stefan Hustrulid, a freshman at Florida SouthWestern Collegiate High School. Hustrulid’s winning video outlined the dangers of texting while driving and earned both him and his high school $250. Put the Phone Down is a campaign to help educate motorists on the dangers of texting and driving. This year Goldstein, Buckley, Cechman, Rice & Purtz enlisted the help of high school students to help bring awareness to young drivers on the alarming statistics of distracted driving caused traffic crashes. Lee, Collier and Charlotte County high school students were invited to submit a video PSA to help make people aware of the dangers of texting and driving. The winning submission would be awarded $250 to both the individual and the individual’s high school. Goldstein, Buckley, Cechman, Rice & Purtz will award $250 to the winner and $250 to the winner’s high school. Click here to submit your video! See this video posted by misshaily88 uploaded on August 14, 2010 for Seventeen's Distracted Driving Contest. Nearly 4 in 10 smartphone users tap into social media while driving, according to a new survey commissioned by AT&T. The biggest draw was Facebook. Addiction was cited as a common reason. “For the sake of you and those around you, please keep your eyes on the road, not on your phone,” said Lori Lee, AT&T's global marketing officer. In 2012, more than 3,300 people were killed and 421,000 injured in auto accidents because of distracted driving, according to the National Highway Traffic Safety Administration. The survey comes hot on the bumper of an annual Expedia report that named texting while driving as the number one cause of road rage. That may be because seven in 10 people said they use their smartphones while driving. The national survey was conducted by Braun Research and polled more than 2,000 who own a smartphone and drive at least once per day. If you’re reading this while driving. Put it down. Now. The National Safety Council’s 2014 Injury and Fatality Report found that the use of cell phones causes 26% of the nation’s car accidents. That is one in four accidents! As a Southwest Florida personal injury attorney representing those injured in motor vehicle accidents I have certainly seen an increase in accidents resulting from cell phone usage. In an attempt to deter Florida drivers from utilizing a cell phone while driving, the Florida legislature, in 2013, implemented the Florida Ban on Texting While Driving Law (Florida Statute 316.305). Florida’s ban on texting and driving makes it unlawful to operate a motor vehicle while entering information or reading data on a wireless communication device. The penalty is a noncriminal traffic infraction. With the apparent rise in cell phone related motor vehicle accidents there is a push within the 2015 Florida legislative session to strengthen the Texting While Driving Law. Specifically, Rep. Richard Stark (D-Weston) (HB1) and Sen. Thad Altman (R-Rockledge) (SB0192) introduced bills that would make the texting while driving violations a primary offense, meaning that violations of the statute could serve as means for law enforcement to stop a motor vehicle. The law, in its current state, makes violations a secondary offense, which means that the traffic stop must stem from some other traffic violation. In addition to aforementioned legislative activity, Florida Courts have recognized the inherent dangers in utilizing a cell phone while driving. Specifically, courts throughout the state, including Lee County and Collier County, are permitting motor vehicle accident victims to assert claims for punitive damages where there is evidence that the accident-causing party was utilizing a cell phone or texting at the time of the motor vehicle accident. Recently, a Lee County Circuit Judge, in granting an accident victims request to make a claim for punitive damages, held that a jury could reasonably conclude that cell phone usage results in impairments similar to those caused by operating motor vehicle while under the influence of alcohol. These judicial rulings allow for additional avenues of recovery in the form of punitive damages for victims of motor vehicle accidents. Punitive damages (Florida Statute 768.72) are monetary damages intended to deter the defendant and others from engaging in conduct similar to that which formed the basis of the lawsuit (i.e. texting while driving). Thus, those injured in cell phone related motor vehicle accidents may be able to claim punitive damages in addition to the standard monetary damages of medical expenses, pain and suffering, and lost wages. It is time to put the cell phone down while driving. No text message is so urgent that it must be sent while your vehicle is in motion. If you are the unfortunate victim of a motor vehicle accident involving cell phone usage, give Goldstein, Buckley, Cechman, Rice, and Purtz, P.A. a call for a free consultation. 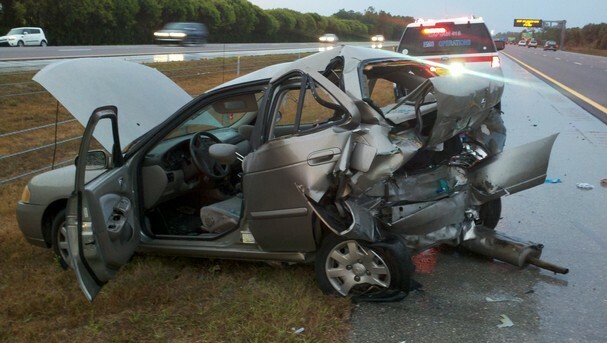 We represent individuals injured in motor vehicle accidents throughout Southwest Florida. We have locations in Fort Myers (two offices to better serve you), Lehigh Acres, Cape Coral, Naples, and Port Charlotte. By: Zachary M. Gill, Partner, Goldstein, Buckley, Cechman, Rice & Purtz, P.A.